"Tennis" is a band from Denver made up of husband-and-wife duo Alaina Moore and Patrick Riley. The two met while studying philosophy in college. The couple started the band after they got back from a 7 month sailing expedition down the Eastern Atlantic Seaboard. They took their name from a joke about Patrick Riley playing tennis in college. Their first EP was "Baltimore" under the label Underwater Peoples. They released their first studio album, "Cape Dory" on Fat Possum Records in January 2011, which was featured on NPR. 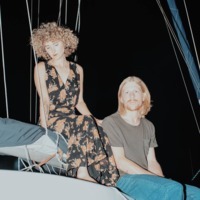 The album is based on the couple's experiences during their sailing expedition and Cape Dory is the name of a location they visited on their sailing expedition. People often mistake the album to be named after their sailing ship, when in reality their boat is named 'The Swift Ranger'.